Majorca 2k17 – The Final. If you haven’t already caught up, I have been blogging all of our antics here in Majorca. Check out the principal of the camp here! With a good progression of rides since the start of the week, it was time for a cafe day! The best day of the week for sure. 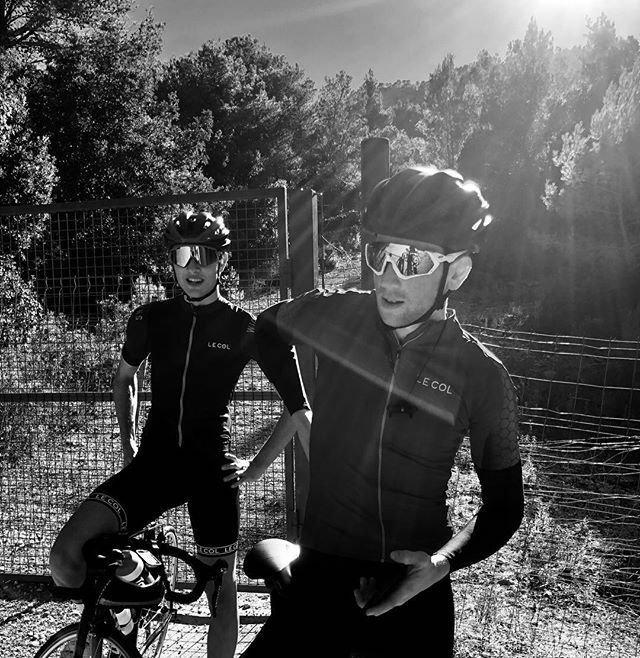 We rolled out along the coast, and along the promenade all the way to Cala Blava before a little loop heading round and back to the coast for a cafe stop on the beach. With only 1 climb, that didn’t really count as a climb it was a chilled out day. Tapping the pedals at a little over 150watts was a nice change. We found some awesome looking roads too! Back into town, and coffee was in order! Sitting to optimise the tan. It was nice to really chill out for the day and forget everything but what was in front of us. That evening we went exploring in the town. No beers! Just exploring! Check out some of the awesome photos below! I had a route I planned when I was back home and ambitious. And with the ever-increasing health condition, it was time to put the plan into action. 170km, 4100m’s climbed. That’s how you end a camp! We started off the day rolling out as a trio, we rolled up the first climb we rode on the first day. Here on known as the ‘army climb’. Amazing as I explained before in an early blog. We rolled out as a trio, for the final time of the week. After the army climb came the Col de Soller. Up and down, then following the tight and technical descent which is always shaded from the sun so is constantly damp (very sketchy) which opens out to a main road which is smooth and fast! We went our separate ways. I set off into the mountains to hack round a big loop while Nat and Lawrence headed for the coast road and back to the villa. Following the route we rode a few days earlier, heading up into the mountains to Sa Colabra via Puig Major. I was riding all the climbs a bit harder today, just hitting the middle of Z3 to try and get a bit of speed on the climbs. Riding solo I could get my head down and only with brief stops at the top of each climb to pull the arm warmers up and put the gilet on and get in a bar, i was rolling all day. Inevitably in a ride that long there were a few emergency stops, the last 70km were exclusively fueled by mars bars. Unlike the other day, after descending back down from Sa Colabra to the main road near Selva I swung a right back into the mountains for one more climb up to Bunyola. I got my facts a little wrong for this final climb, I thought it was a roller then a longer climb to the top before descending into Bunyola. Turns out that roller was a 5km 5.5% climb. So expecting a bigger climb to come I held back and rode up it steady to then ride the next climb at Z3 effort. Turns out the next climb wasn’t even a 10minute climb. Wooops. In the end it was 4 climbs at a decent pace, 1hr 40mins of climbing. Not including the rolling roads of the Majorcan mountains. A very good end to our November camp. Now we are all looking forward to Calpe in 7weeks! But there is a lot of graft to do between now and then!